179 acres with Fabulous Views of Pinnacle Mt, Ark River, and the Little Maumelle River. 1.Seller offers approx. 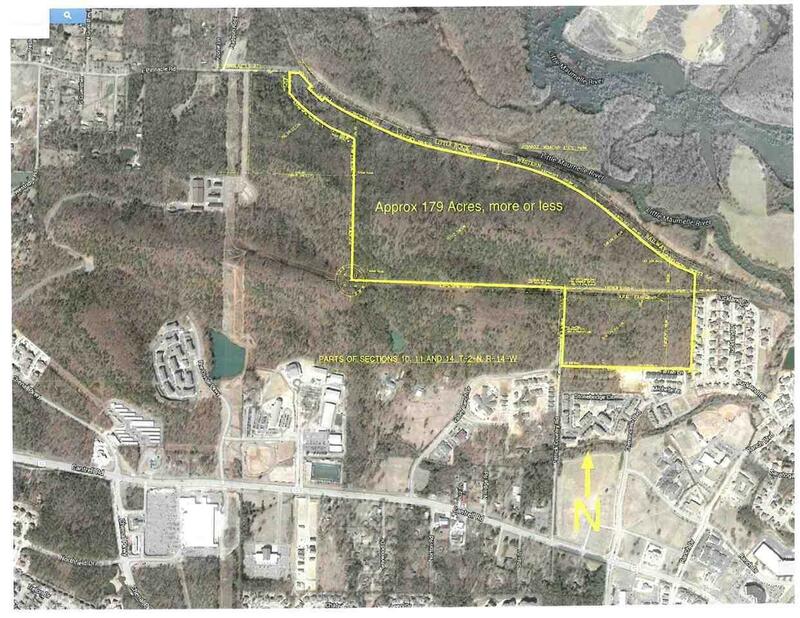 37acres South of North line of Entergy Easement at $2.10 per sq ft (total $3,384,612) 2.Seller offers remaining approx. 142acres at $27,500 per acre (total $3,905,000) 3.If 37acres is sold separately, buyer will provide paved road access to the remaining 142 acres, as well as utilities to the south property line of the remaining 142 acres. 4.Single family homes only. See Showing Remarks.